Apparently, Dunedin South would be a major focus of the affordable homes part of Labour’s housing package. The rejuvenation of South Dunedin will be a priority for an incoming Labour government, working alongside local government to develop a master plan for urban renewal. 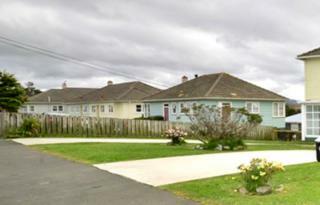 Private enterprise and iwi could also play a part in the redevelopment and rejuvenation of South Dunedin and other parts of the country…..The Affordable Housing Authority would be directed to focus on South Dunedin as part of its plans.The authority would have an initial cash injection of about $100 million to be spread across its activities nationwide. It would be expected to finance itself from its own activities from then on. This proposed Affordable Housing Authority would work closely with local councils and developers in buying land and ensuring the necessary infratsructure (transport etc) is provided. It would have fast track planning powers and could take the initiative in developing major projects. In a revamp of Labour’s Kiwibuild policy launched in 2013, the package pledged a $2 billion fund to deliver 100,000 affordable homes over ten years and this time, half of those builds would occur in Auckland. Each home would range in price, up to a maximum of $600,000. The other main component of the Labour policy package involves a tax change to deter speculation. Instead of two years, a property would have to be retained for five years to avoid incurring a tax on the capital gain made when it was on-sold. For now at least, Labour has postponed dealing with negative gearing – the practice whereby investors/speculators can write off mortgage costs against other income. Clearly, Andrew Little has no intention of going into the next election saddled with an IRD attack upon “Mum and Dad” investors looking for a modest income boost from a rental property or two. The Jesuitical problem of making a legal distinction between an investor (good) and a speculator (bad) has been left to another day. House purchase costs and rents were relatively low but house running costs were often very high. Low-lying uninsulated houses were expensive to heat and hard to keep warm and dry.The main retail area of King Edward St was less vibrant than it once was…Manufacturing enterprises had largely disappeared. This package won’t solve the housing crisis in New Zealand overnight, or even in ten years. It tackles some of the supply problems and demand issues. However, there is still no measure known to anyone – be it the Reserve Bank, the Key government or Labour – that seems capable of popping the housing price bubble, and ensuring a soft landing for those most at risk from it. But this package will –at least – enable Labour to go into the election next year on the front foot, and offering solutions to needs consistent with its history. For one of the few times in recent years, the Labour Party looks as if it has a genuine reason to exist. As this column has mentioned before, the Obama White House is actively undermining the TPP by enacting legislation that will reverse some provisions that it signed up to during the TPP negotiations. This is happening in two main areas. One, the US is doing a 180 degree turn on the provision it signed in the TPP that required US financial services companies to locate the data servers that hold financial data on a country’s nationals, within the country concerned. Secondly, the US is now working to extend the data term it has agreed to in the TPP, on the biologics class of pharmaceuticals. The financial services “fix” is being expected to be finalised this week, and will be channelled into effect through the TISA (Trade In Services Agreement) process later this year. This will effectively supersede the TPP provision on this same subject, but without being attached to the TPP text as an overt revision of its contents. The biologics fix is proving tougher to arrange. Reportedly, the Republican senator Orrin Hatch of the House Ways and Means Committee is demanding the biologics term extension be quasi-formally attached to the TPP itself, rather than simply re-writing it in parallel, or at arms length. Probably, Hatch will not be willing to block a TPP vote in Congress, on this one point. Yet it is a sign of the rank bad faith of the US attitude to the TPP. The US signed up for a multilateral deal that involved trade-offs, Now, other TPP countries are belatedly disovering that some of those trade-offs are being unilaterally rendered meaningless by White House –initiated legislative action. As always, the US writes its own rules. New Zealand, which thought it had negotiated in the TPP a five term for bioligics, will presumably just swallow hard, and accept the extension. And in songs about affordable housing / homes …hard to beat this from the 1980s, by Madness.